Family Locks Themselves Out. Pit Bull Saves The Day. 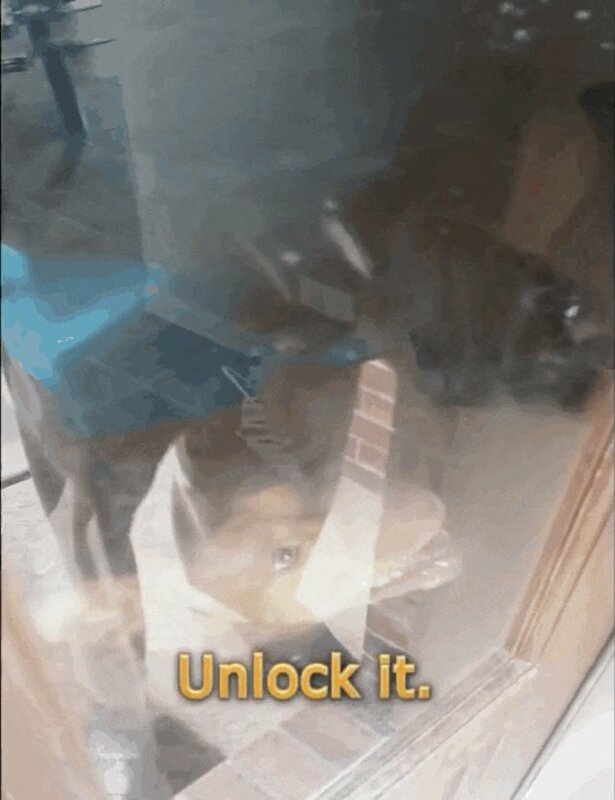 Maybe when you're done paying the locksmith or retrieving the spare key you gave to your ex three years ago, you should consider teaching your dog this nifty trick. 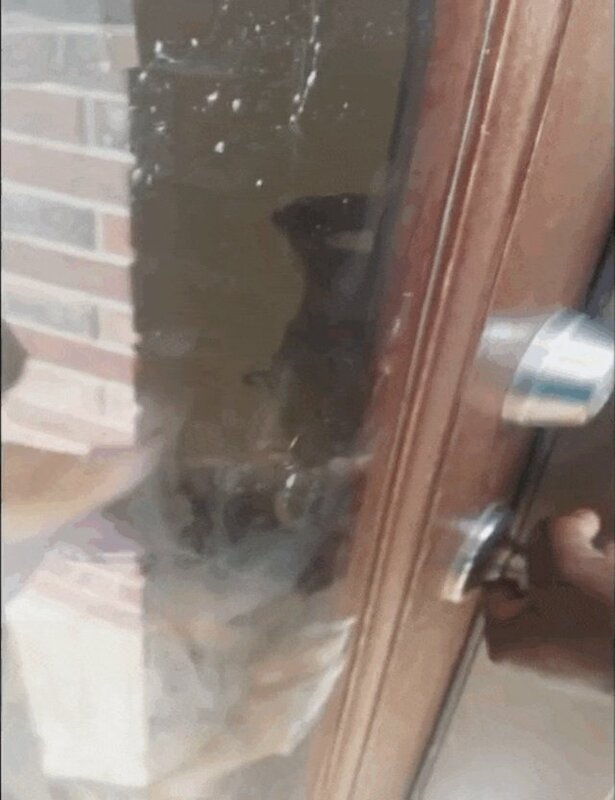 In a video posted earlier this week, a couple is taken by surprise when their dog is able to unlock the door. "No, not that one. The top one!" he tells her as he points to the deadbolt lock. She's just happy to see her family, but the couple tries to keep her focused. "Unlock the top one, Momo!" he tells her, and amazingly, that's exactly what she does. Are you locked out of your house or apartment? I'm glad you read this article, but you should seriously figure out a way back inside. Here are a few helpful tips on how to avoid locking yourself out, such as don't keep the spare key inside the house.